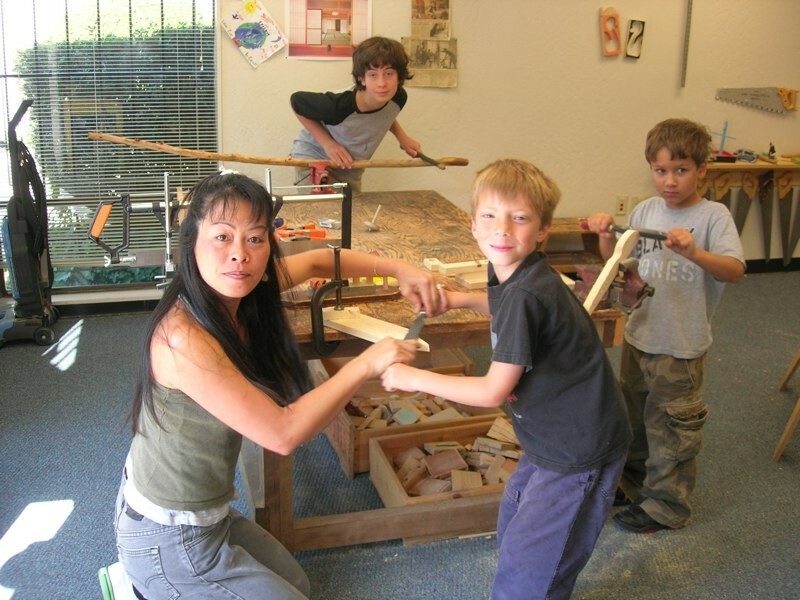 Since 1982 - Teaching Kids Carpentry in the Bay Area and beyond. 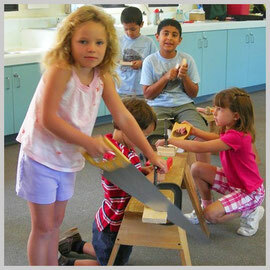 Kids’ Carpentry is a year-round enrichment program designed to teach girls and boys - Kindergarten-6th grade - the safe-use of hand tools and general woodworking skills. Through a sequence of projects, the young carpenters gain the skill and competence to complete increasingly more complicated projects. 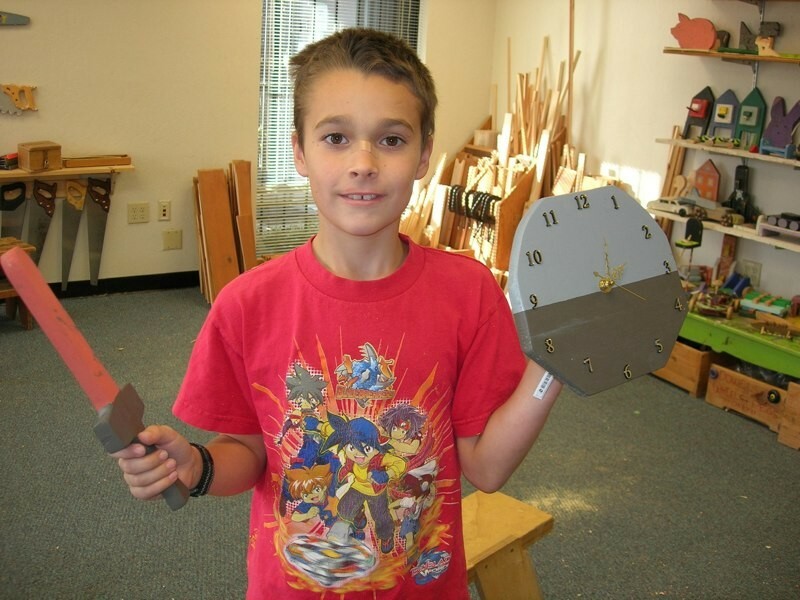 From boats to bird feeders, doll furniture, clocks, games, airplanes, and many more, the kids have a wide range of projects to choose from besides designing and building according to their own needs and imagination for the veteran carpenter. 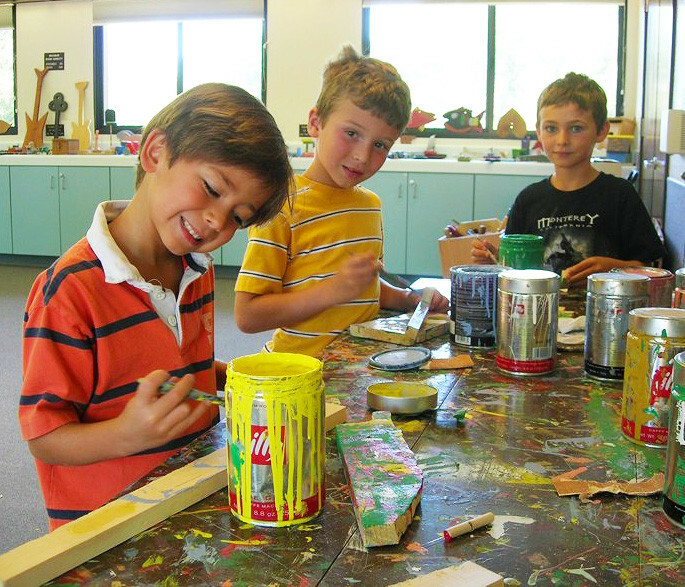 In addition to the fun kids have, they also gain quality experiences in measuring, applied math (including fractions), problem-solving, craftsmanship, and as a result are empowered by the hands-on experience. Carpentry classes are taught by one teacher for every 8-10 students. 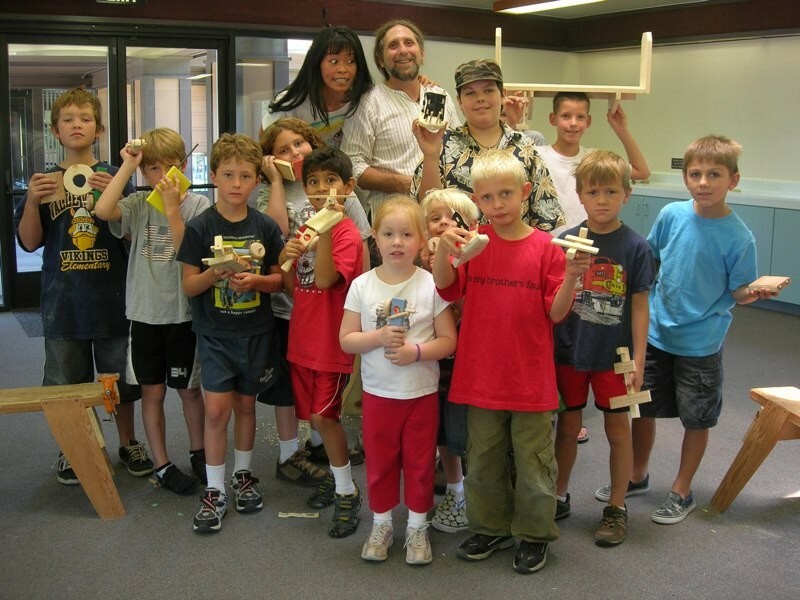 Watch the Kids' Carpentry Video! Read about us in the New York Times!